On India's role, Japanese Ambassador Kenji Hirramatsu said, "We understand that India is involved in this incident based on bilateral agreements with Bhutan." Japan has extended its support to India in the two-month-long Doklam standoff near Sikkim. Japan has come out strongly in support of India in the two-month-long Doklam standoff near Sikkim and said there should be no "unilateral attempts to change the status quo by force". 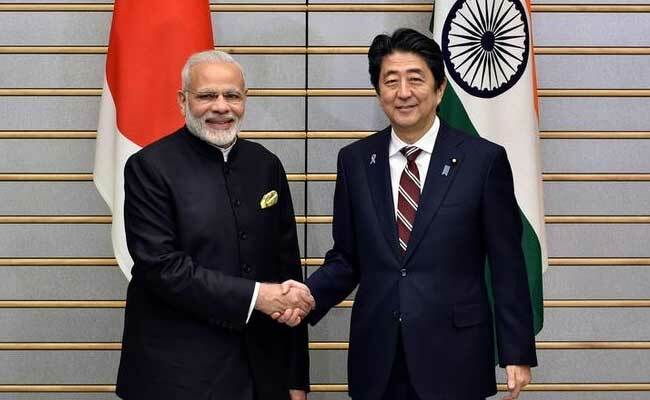 The statement a month ahead of Japanese Prime Minister Shinzo Abe's visit to India is the first show of unequivocal support to India from a major country. "We understand that the area is disputed between China and Bhutan, and that both countries recognize the existence of a dispute," Japanese Ambassador Kenji Hiramatsu told journalists yesterday in response to a question. "What is important in disputed areas is that all parties involved do not resort to unilateral attempts to change the status quo by force, and resolve the dispute in a peaceful manner." The envoy said Japan has been watching the situation "very closely" as it "can affect the stability of the entire region." On India's role, Ambassador Hiramatsu said, "We understand that India is involved in this incident based on bilateral agreements with Bhutan. External Affairs Minister Swaraj has made it clear that India would continue to engage with dialogue through diplomatic channels to find a mutually acceptable solution. We consider this attitude towards peaceful resolution important." The prolonged stand-off started in June when India sent troops to stop China building a road in the Doklam area, a remote, uninhabited territory claimed by both China and India's ally Bhutan. Delhi says the road is a serious security concern because it changes the status quo at the tri-junction of the borders of India, China and Bhutan. India has offered that both sides withdraw troops to engage in dialogue, but China has refused that option. China has repeatedly asked India to withdraw from the area or else face the prospect of an escalation. Earlier this week, the US called for direct dialogue between India and China to resolve the crisis and cautioned against unilateral changes on the ground.